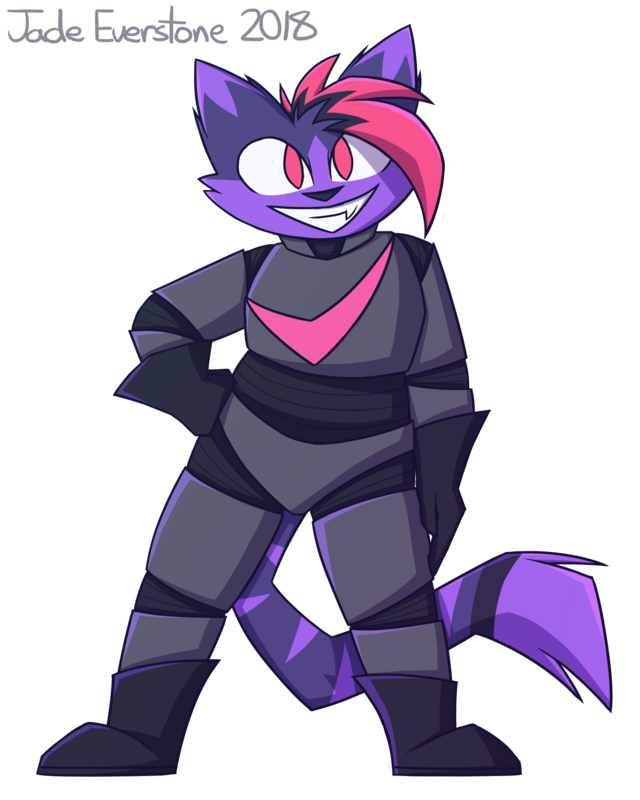 Myla is a mechanic from a cold planet who mostly works on weapons and small fighter ships on a base. 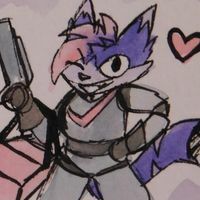 After getting tired of being stuck on there, Myla decides to leave her job and join the ISA (InterSpace Alliance; a defensive force organized for the sake of maintaining peace throughout the galaxy). She trained to be a pilot while there and still does mechanic stuff bc hey that's one of her strongest skills. 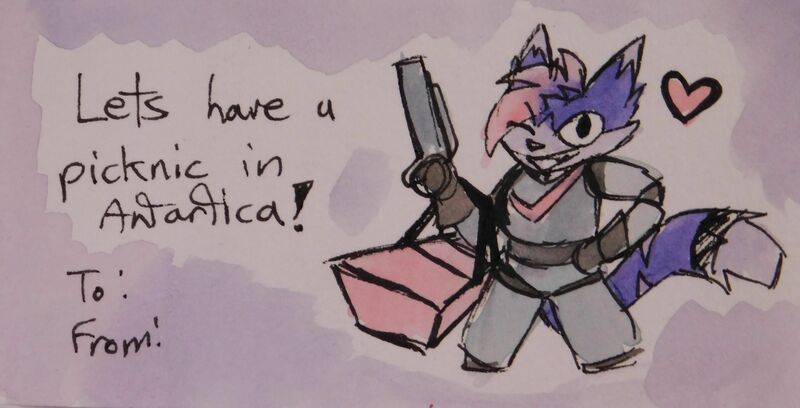 She also learned how to repair and modify weapons there too. 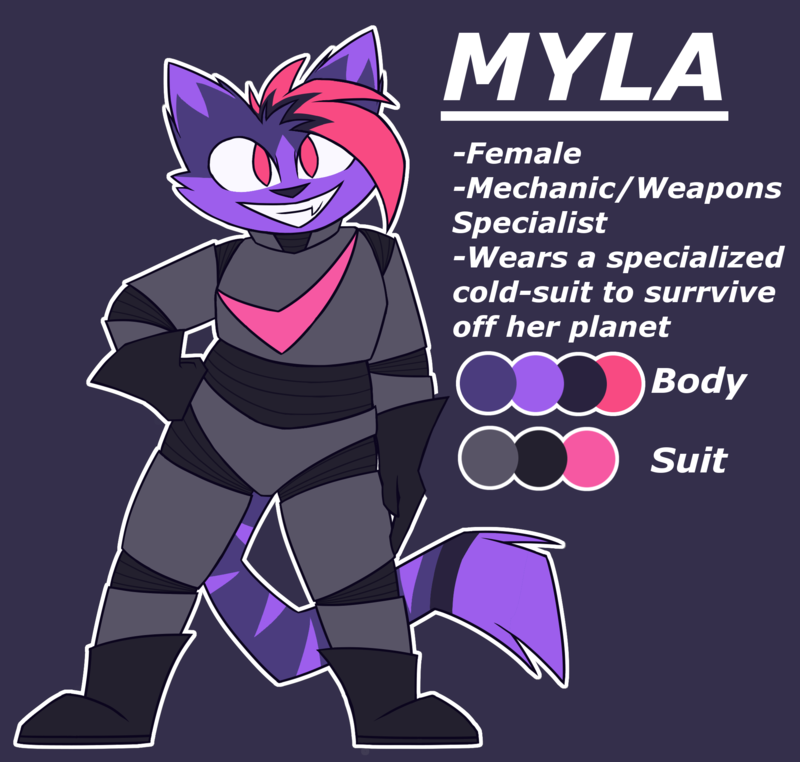 -Due to being from a cold planet (and therefore her species being evolved to live in said environment), Myla needs a specialized "cold suit" and cooled spacecraft since she could die of heat stroke in an environment that's too hot.